This section is also dedicated to original designs. Please feel free to inquire about submitting your original design to be featured in this section. Hope to soon have some three dimensional images of vehicles done using Solid Thinking. 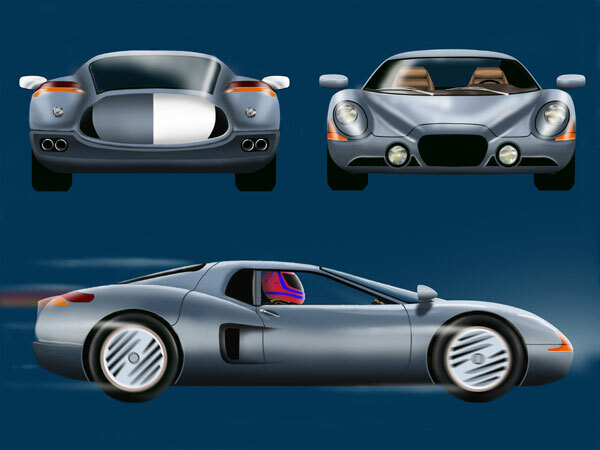 Above is a design using styling cues the original Cobra "Daytona" Coupe.